It is becoming more and more apparent to me that, if you believe in yourself, use positive thinking, and work hard, you can bring whatever change or growth you want to your life. 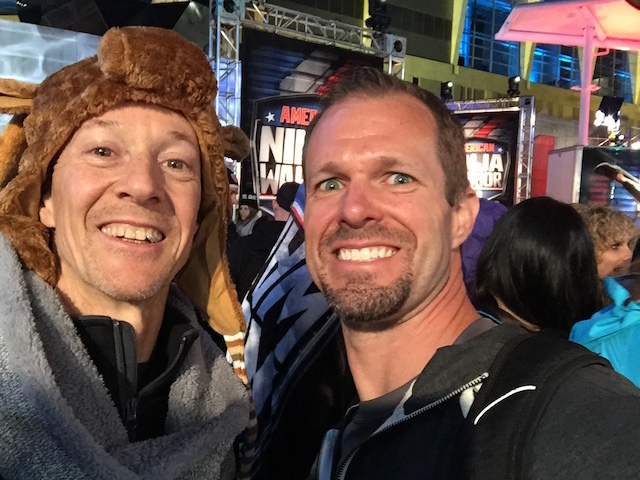 5 years ago I discovered this crazy obstacle course show called American Ninja Warrior at the ripe old age of 44. When I applied that year, I dreamed of just getting a shot at running the course and trying to prove something with an aging body. I could not imagine I would be where I am today, embraced by an incredible ninja community and now competing in my 5th season, feeling stronger and more confident than ever. The day before the comp many ninjas are called to arrive in waves at a site where we film interviews, b-roll and “hero” shots. 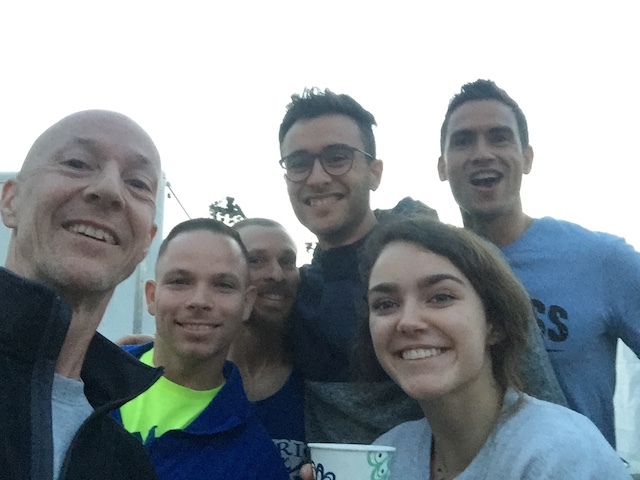 This is often a half-day affair with a lot of sitting around and waiting, so you get to meet a lot of new ninjas and catch up with old friends. This is Nic Steinhaus! He’s a rookie on the course and also has a bunch of titanium parts inside his body and a good comeback story. This is Natalie Duran, a popular name on the show. When I was walking up to the hotel for interview day, she came rolling up on a Harley Davidson looking like the badass she is. 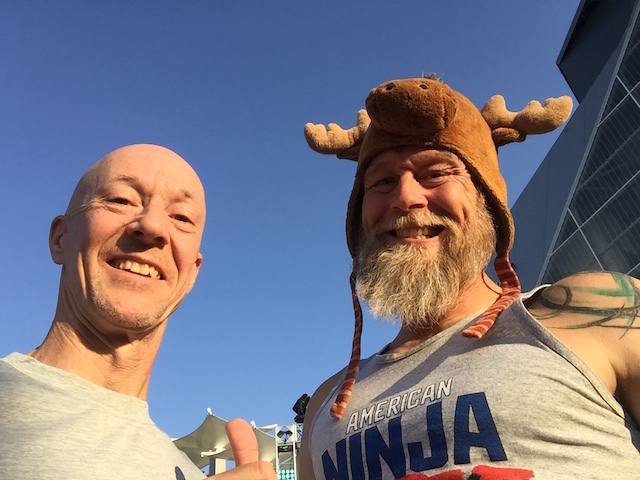 This is Morgan Wright (Moose) and he and I are representing with the older ninjas in Miami. He’s an elementary school teacher and an overall awesome and fun guy. Like me, he’s a veteran who comes into season 10 having never hit a button. 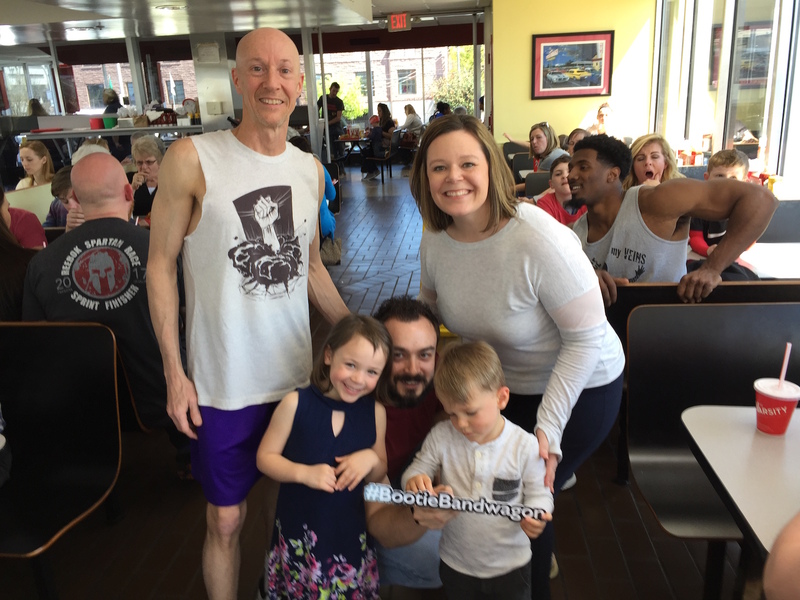 Dougie-Fresh and Kelley and family! They’re are expecting twins, who are already on the #BootieBandwagon! Dougie and I first met in Orlando in season 7 and were shown back-to-back in the Qualifying episode. This is Matt Barclay. 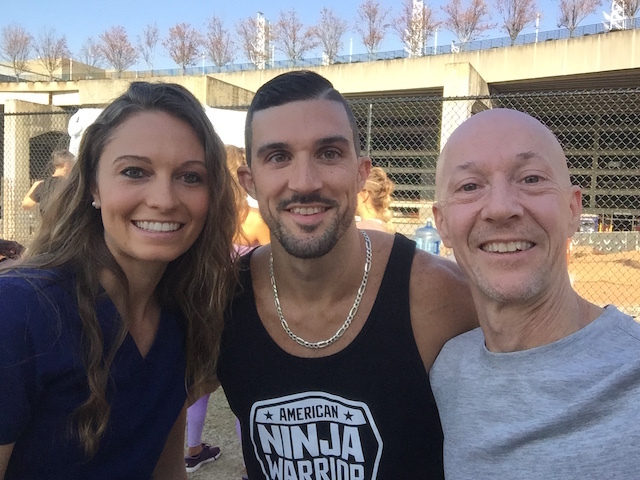 We met at a local ninja comp in Atlanta a couple years ago as he was in the process of getting involved in the ninja world, having worked really hard at getting healthy and into shape for applying to the show. I love these kinds of stories, seeing people challenging and believing in themselves, working hard and being empowered by the results. This is Bree!! 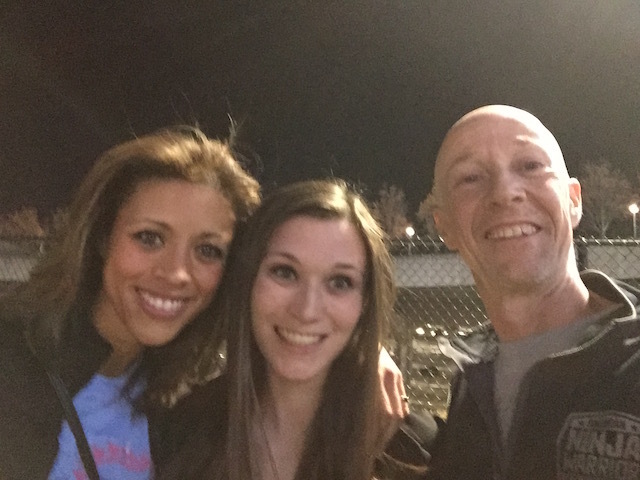 We met and ran together last year in Daytona, and yeah, she’s scary strong!! Ryan and Brett are longtime friends, former roommates, and have been on the show since it began 10 years ago. Their beards are almost as legendary as their skills, and yeah, they’re on the #BootieBandwagon, too. On the day of the competition, we show up for check-in where we find out what number we are running. That’s region 3, runner number 28. 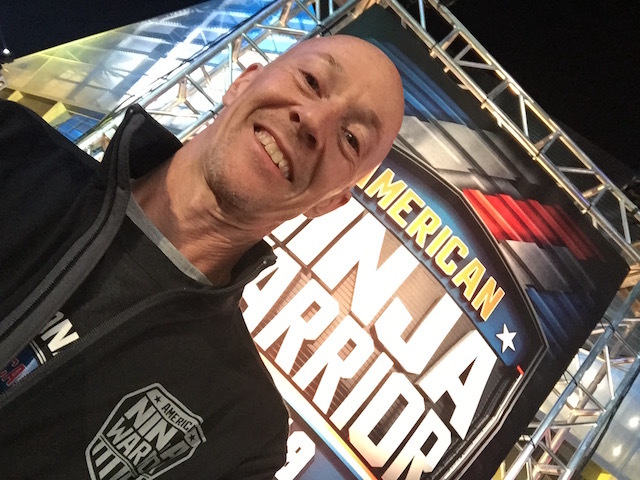 Mike Cook operates Ultimate Backyard Warrior (UBW) in Rocky Mount, NC, and hosts 2 major ninja events each year that bring in ninjas from all over the country. 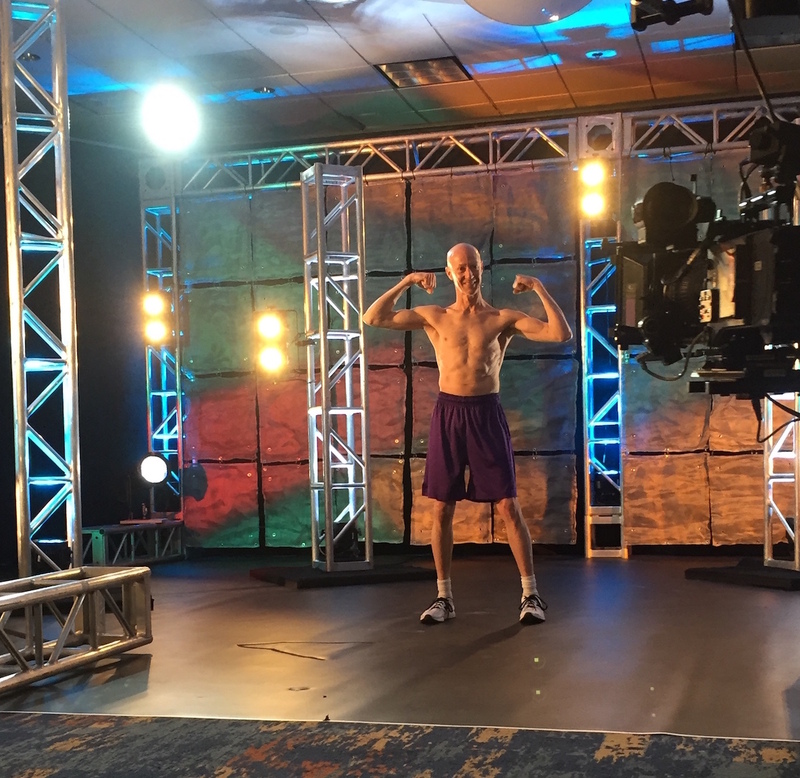 This is Joel, a former F15 fighter pilot who has battled against cancer and is out here taking on his next challenge. 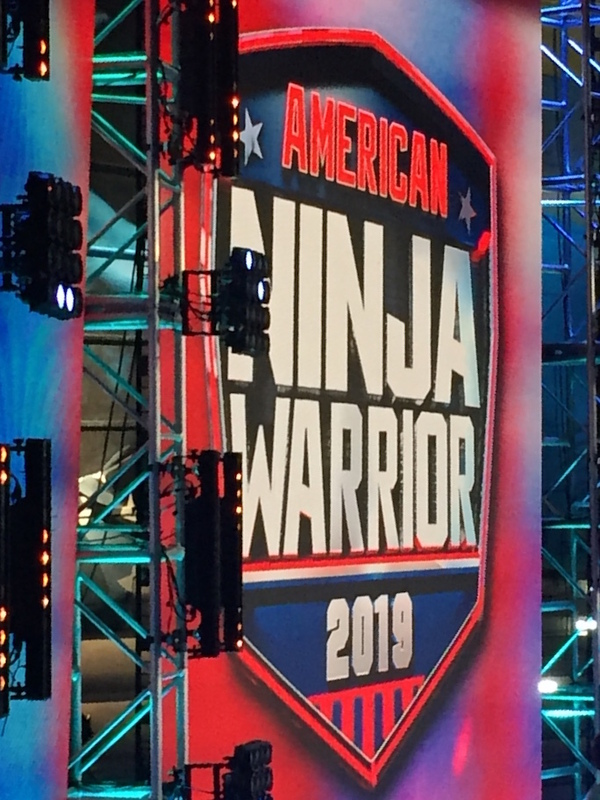 Once all the ninjas have checked in, we gather at the start of the course to go over the rules for each obstacle, watch a single demonstration and ask any questions. We do not get to practice or touch the obstacles before our run. This is Reko Rivera, a DJ, entertainer and fire-blower who I first met in season 5. 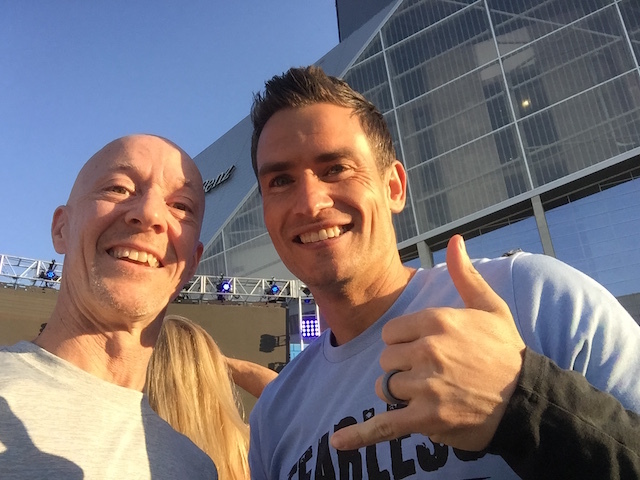 We’ve competed together at every ANW event I’ve been a part of, as well as some local competitions. This is Jessica Clayton. We first met at a local competition in Atlanta a few years ago. 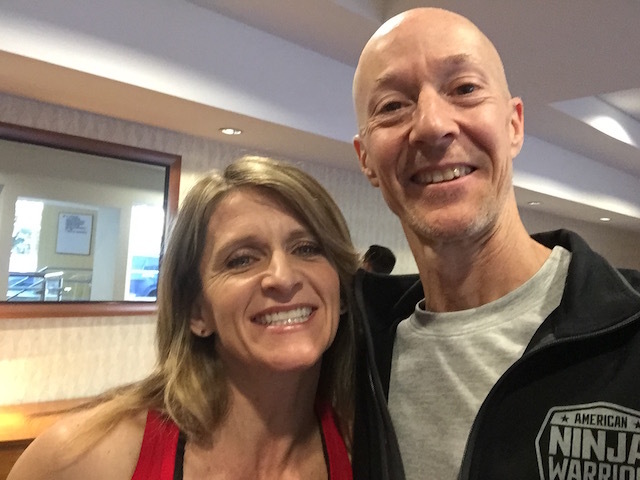 She works at NinjaQuest Fitness in Atlanta and is a beast on any course. This is Colleen McCormack. 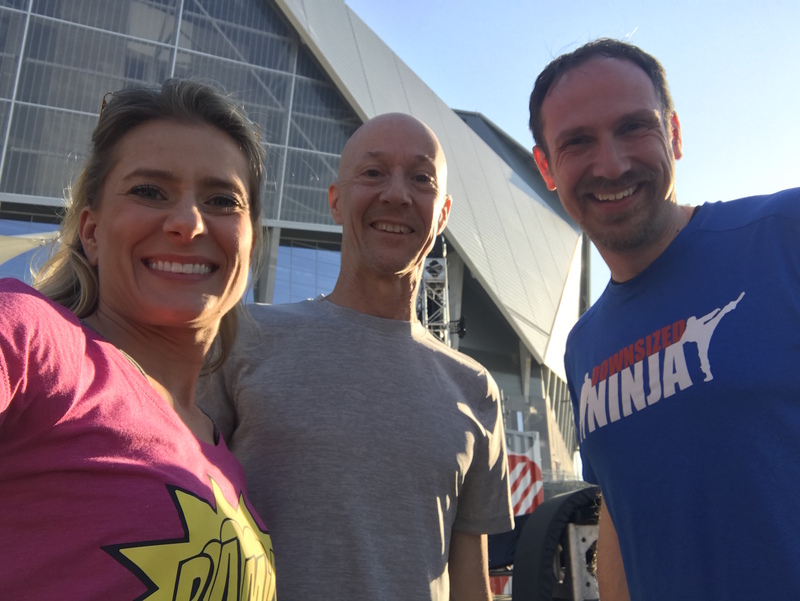 We’ve been together at a lot of ANW and local competitions, but perhaps our most fun memory was from season 8 in Atlanta when we shared the best Uber ride ever with Justin Mania to Slingshot Entertainment the night before filming. Chuck Mammay, “The Chuckster”, competed in seasons 8 and 9 at over 70 years old. He’s well-known and loved! Brick!! This is Steven Brickhouse, who was featured in season 8. I see you, Brick! Here’s Nic Steinhaus again waiting his turn to step up to the platform on qualifying night. This is the moment everything comes down to, and it’s intense!! 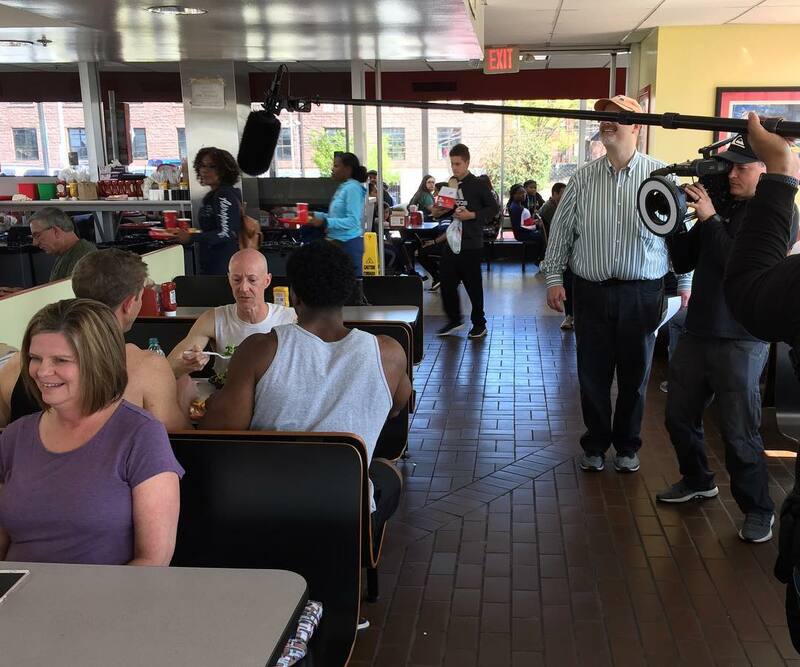 I met Kevon White at B-roll and interview filming. This was his first year competing. He played football in college and was here looking for a new challenge. Great meeting you, Kevon! This was me trying to get some rest after my qualifying run. The morning after the qualifying night, headed back to my hotel after breakfast (the show is filmed all overnight to get the production value of having the dark backdrop and lights). 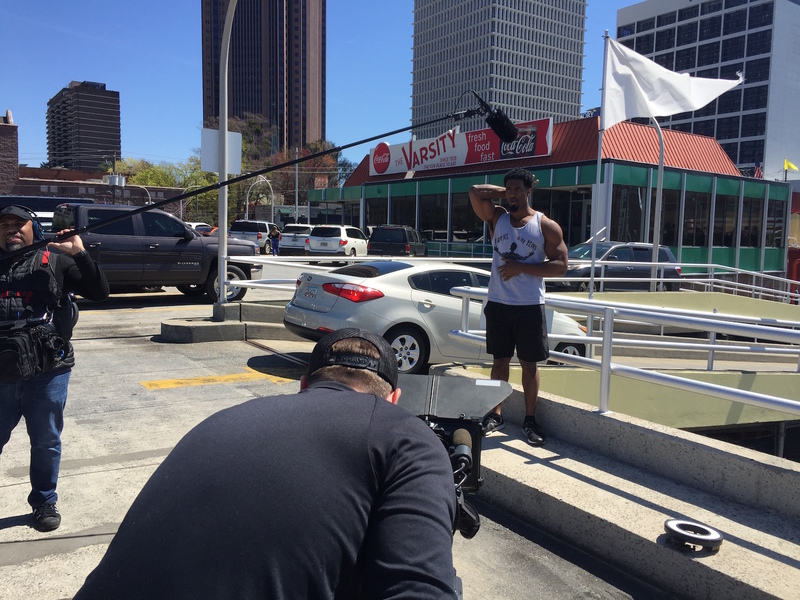 After the break for lunch, here are Matt, Akbar, JJ Woods and Barclay Stockett filming a promo for Ninja vs Ninja, which airs on USA Network on Mondays at 11pm. Check it out!! This is Kip, and he was one of the testers for the course. He got to play on pretty much the entire course as they were setting it up and making adjustments, and crushed nearly everything he touched! 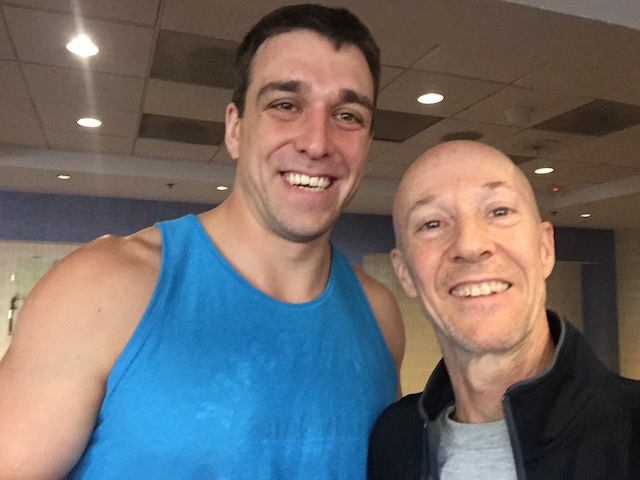 We ended up on the same flight out on Sunday afternoon. Great hanging with you, brother! Here’s Joel again in the airport. He shared the same flight out with me and Kip. This is part of the crew that came to support me in Miami. I am so grateful for their support! Mom, dad, Jodi, Donovan, Nia and Logan, John and Meghan and Eric and Charlie! Those are just a small group of photos from a much larger family. Stay tuned, more to come! The new season begins May 30th on NBC at 8/7c, so don’t miss it!! Thank you ALL for the support!! 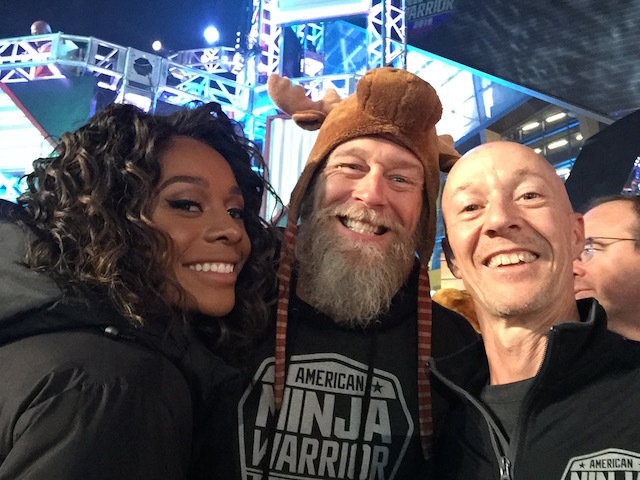 ANW9 Daytona is in the books, and if you missed it, you can watch all episodes online at NBC.com. It’s a big confidence boost to be able to run the course the second night, having had my qualifying run the night before and knowing what to expect from the obstacles. I knew I could complete everything at least up to the Rolling Thunder, so I felt really good about attacking the course with confidence and speed. Honestly though, I was tired from the overnight shoot the night before, my arms were a bit sore, and Rolling Thunder was in my head. Even if I got through it, I was unsure if I’d have anything left for the salmon ladder. But instead of over-thinking it or focusing on those negatives, my plan was simply to trust my abilities and do the absolute very best I could. That’s all I could ask of myself. That’s all any of us can ask of ourselves in any situation, right? As long as I did that, I would happily accept any outcome. I got the signal to start and made it quickly through the Floating Steps but got caught up going in circles on the rope dismount, causing me to expend more time and energy than I had planned. I was calm and was never worried or panicked, knowing I would correct it, eventually. It was more of an annoyance to me than anything else. After what seemed like 8 or 10 swings, I finally dismounted. I recall slamming my hand down in frustration as I climbed up the platform, a little angry at myself about that, but I knew I shouldn’t dwell on it. So I did. 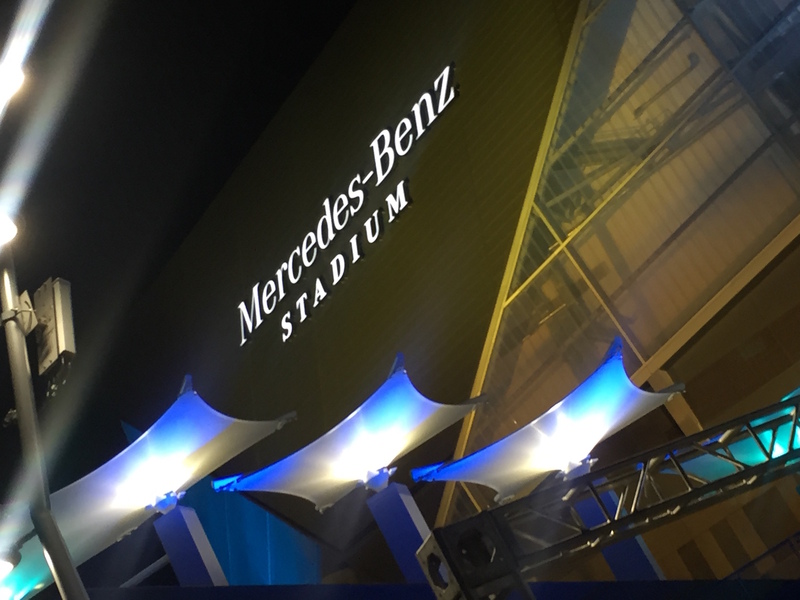 Despite that hiccup, I was feeling extremely confident and was in a great place, mentally. I was running aggressive, and it felt amazing! I got to the top of the Rolling Pin and didn’t hesitate. I grabbed on, unafraid, pushed off the platform, and held on for the ride. Nearly everyone who had completed this obstacle on both nights did so by landing on their backs at the end of it, and I had too, during qualifying the night before. But as I approached the end, I managed to let go at the right time and landed squarely on my feet, and then I paused briefly to look back at the obstacle with a little bit of an attitude. I quickly eyed up the Wingnuts and jumped right into the first one. I attacked it with confidence, taking maybe 2 swings to move between each one, and then casually dismounted like I was taking a stroll. The crowd was into it, and I was running with a confidence and energy I’d never felt before in any competition. I stepped up to the Broken Bridge and there was no question in my mind that I was going to beat it. 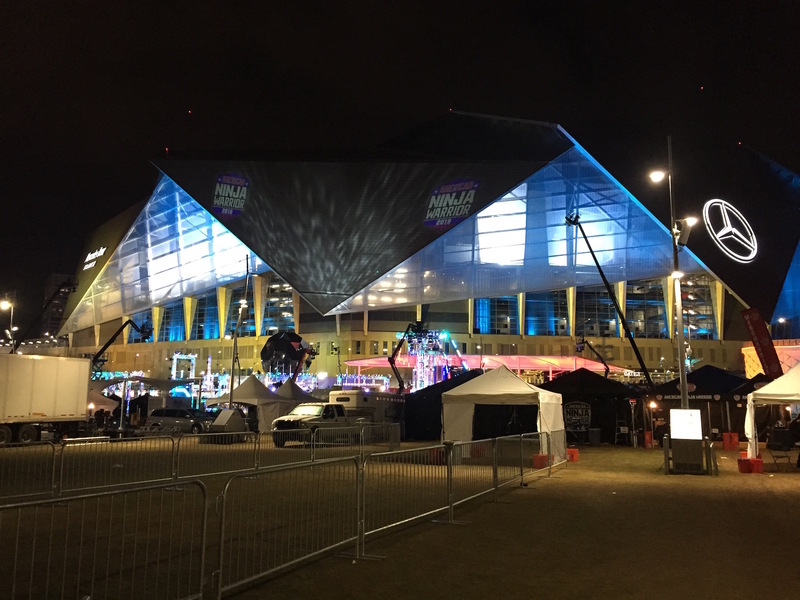 I immediately ran right across in full control, again landing squarely on my feet on the platform, soaking in the roar of the crowd. It was such an incredible feeling. I took a short rest and jumped up to Rolling Thunder, moving as fast as I could. I didn’t feel like I got as good of a start like I had gotten in qualifying. It felt slower going. I recall it getting somewhat stuck on one of the drops and I had to shake it loose. My hands, fingers and arms were wearing out before I was halfway through. I took a couple of breaks to hang by one arm and shake out the other, but about 3/4 of the way through I was wearing out fast, and was still too far to dismount. “Just keep going! Reach! Pull! Reach! Pull! I remember my face scrunching up as I was pushing through the last bit of pain, reaching as if my life depended on it. The next thing I knew, I was falling, and it felt like slow-motion while I just let myself relax and plunge into the water below. It almost felt good. I was completely exhausted, and didn’t have the energy left to get out of the pool. But I was satisfied that I had given it everything I had, and was thrilled to have gotten the opportunity. So with that, despite having fallen short of making it into the National Finals, I left Daytona feeling successful and proud. I love this stuff. I hope you do, too. Thanks for doing season 9 with me, and I hope we get to do it again next year! Stay tuned every Monday night at 8/7c on NBC to see the rest of my ninjas compete in the remaining City Finals and then the National Finals in Las Vegas.